Do you own a lot that is heavily wooded? If you do, you know that these lots can quickly become chaotic as trees fall, new ones grow, and they can just get out of order. If you want to be able to get your wooded lot managed, Vernon Imel Tree Service is here at your service. Vernon Imel Tree Service offers wooded lot management service which includes the removal of trees, logging, or just simple tree maintenance. Making sure that your wooded lot is in order is important to be able to protect your property, as well as the people that access your property. 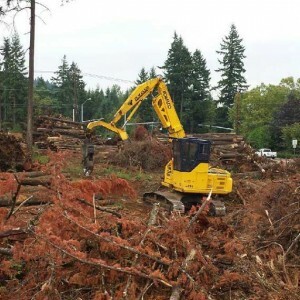 If you need your lot cleared of trees in order to build or use the lot in a different way, we can also help you with this as well. We have the technicians, experience, and the equipment to be able to handle wooded lots of all different sizes. This ability alone makes us extremely convenient to call when you need a wooded lot managed or maintained. As you can see, if you need your wooded lot managed, Vernon Imel Tree Service can take care of all of your needs. Simply call us today for a quote on our wooded lot management services. To get started simply give us a call at (503) 812-8967 or click below to fill out our online contact form.